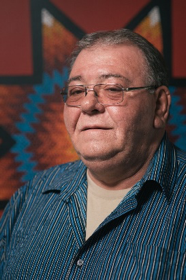 Chief Joel Babin, more commonly known as Bear, has lived in the traditional territory of Wahgoshig First Nation for all of his forty years. 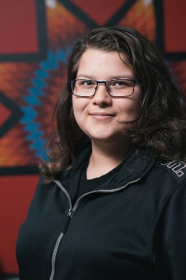 Bear was first elected into leadership as a Youth Councillor when he was fifteen years old, and he served on Wahgoshig First Nation’s Council for nine years before being elected Chief. Bear also served on Youth Councils at both the regional and national levels. Bear possesses a strong set of values built on the foundation of the Seven Grandfather Teachings, and he leads his community with a good heart and a good mind. Dannah is nineteen years old, and this is her first term as a youth Councillor. Dannah would like to help the youth find their own voice, and their own identity. Dannah would like the community to be unified and no longer divided, and works hard to strengthen the relationship between Chief and Council and the Community. Shawna is twenty-seven years old, and proud mother of Zaiyden Collins and Princess Black. Shawna currently has the only open foster home in the Wahgoshig Community. She has been employed for four years as Wahgoshig’s Community Health representative and is working towards her Community Health Representative Diploma. Shawna’s vision is to see improvement in the community when it comes to understanding, treating and improving mental health. In addition, Shawna would like to see everyone above the poverty line, and provide more employment opportunities to the members of the community. Moreover, she would love to see the youth thrive with their education, decreasing the dropout rate and increasing the graduation rate. Paul is a former Chief, and respected elder in Wahgoshig, where he has been living for twenty-two years. Paul will have spent twenty-five years in politics by the end of this term. He spent six years as Chief and the remainder as Councillor. Paul is happy to serve the people of Wahgoshig First Nation. Dave is thirty-three years old, and proud father of Scarlet and Jude Morris. This is Dave’s first term as a Councillor. Dave has been living on reserve for twenty-seven years. Dave's vision is to help make informed decisions to better the community as a whole. Chris has served on Council for several terms. Chris is the proud father of Keith and Amy Sackaney. 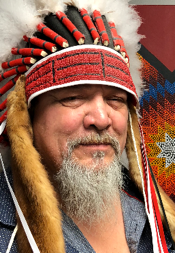 Chris believes in serving and representing the membership of Wahgoshig to the best of his abilities, raising the quality of life for all ages, teaching and learning from the youth and elders, and preserving our history, culture and lifestyles. A long-time member of Wahgoshig First Nation and a traditional Elder, Joseph has been a Councillor for three different terms. His hopes, dreams, and aspirations are to help our people with education, spirituality, and overall mental health. He has been in recovery for thirty-seven years, with the last twenty-two years devoted to traditional ceremony and teaching. His original dream, when helping to start the reserve, was to bring people back to Wahgoshig to live, work, and build a future together, and that dream continues.